Opened in 1984 by Adriaan "Dutch" Schrier and Rudy Pizziolo, the world-famous Curacao Sea Aquarium next door to The Royal Sea Aquarium Resort offers you and your family the chance to see the reefs of the Caribbean up close without getting wet. 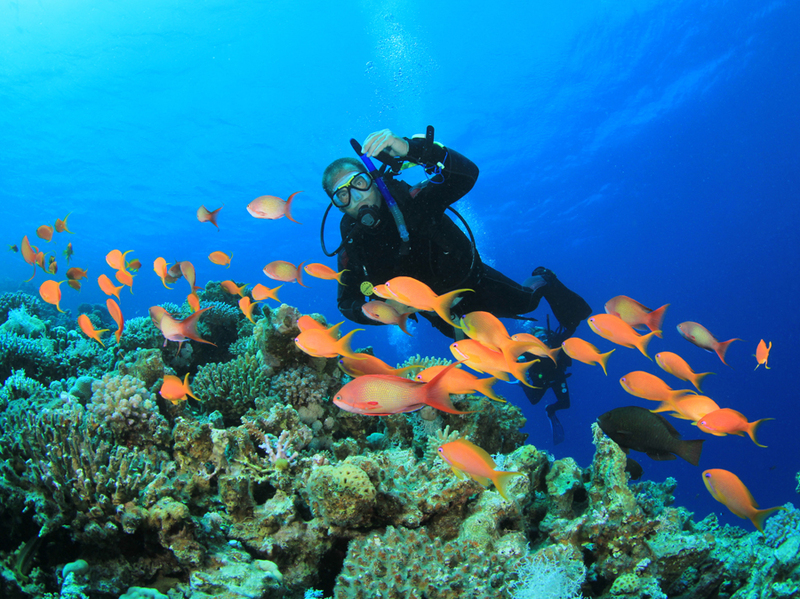 You'll have endless aquatic fun and learn about the area's complex marine ecology. 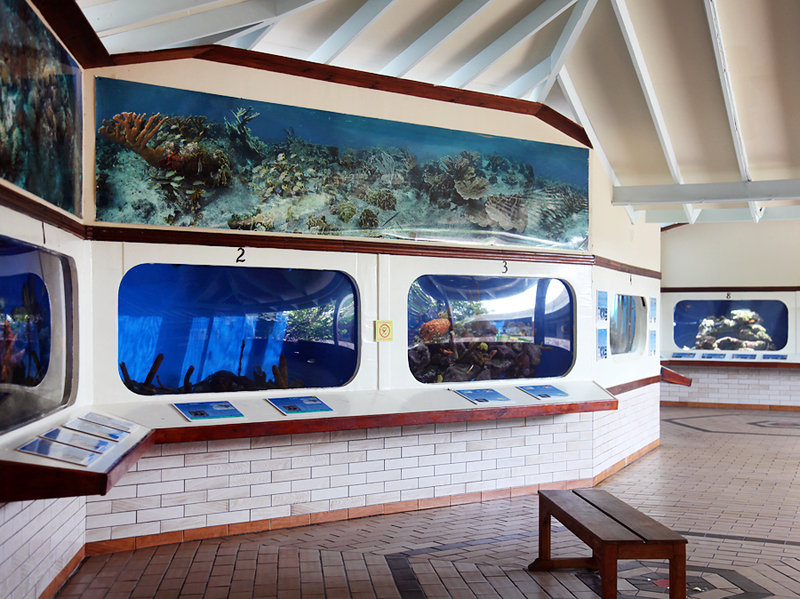 Begin your underwater exploration with a visit to the Aquarium Hall. Over 400 creatures including fish, corals, sponges and other colorful marine species are on display in 46 tanks fed by continuously circulating salt water pumped in from the ocean. The tanks represent different marine ecosystems such as sea grass beds, mangroves and shallow and deep water reefs with creatures from depths of up to 300 feet. Others showcase interesting characteristics like camouflage and species ranging from cleaning fish to lobsters and sea horses. There is a touch tank stocked with starfish, brittle stars, sea urchins, sea cucumbers and conch if you feel the urge to touch some of the reef dwellers. There are Feeding Shows at regular intervals throughout the day during which keepers will invite you to help them feed sea turtles, stingrays and sharks. If you prefer to watch divers feed the marine life by hand, visit the Underwater Observatory, a stationary semi-submarine with panoramic views of the Sea Aquarium lagoon. 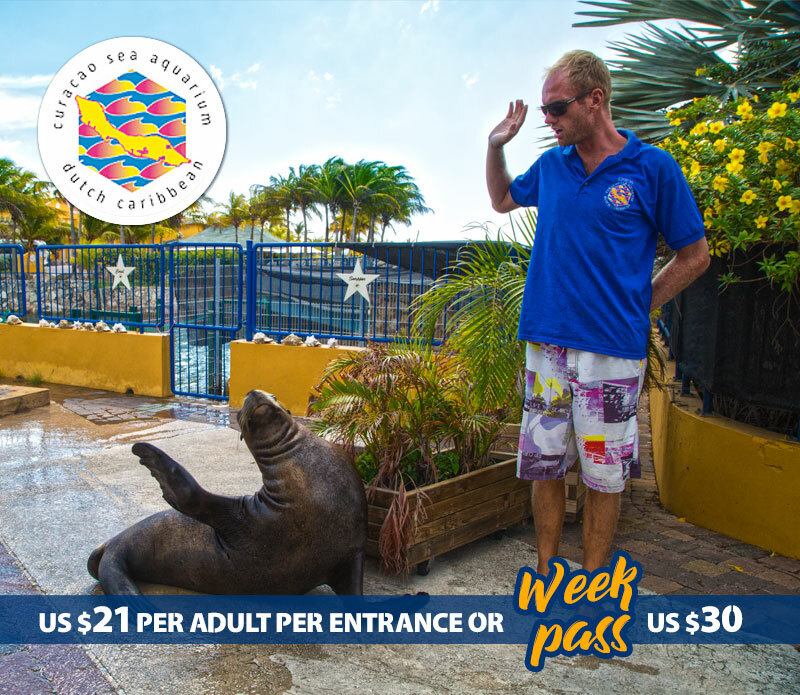 Don't miss the popular sea lion show. 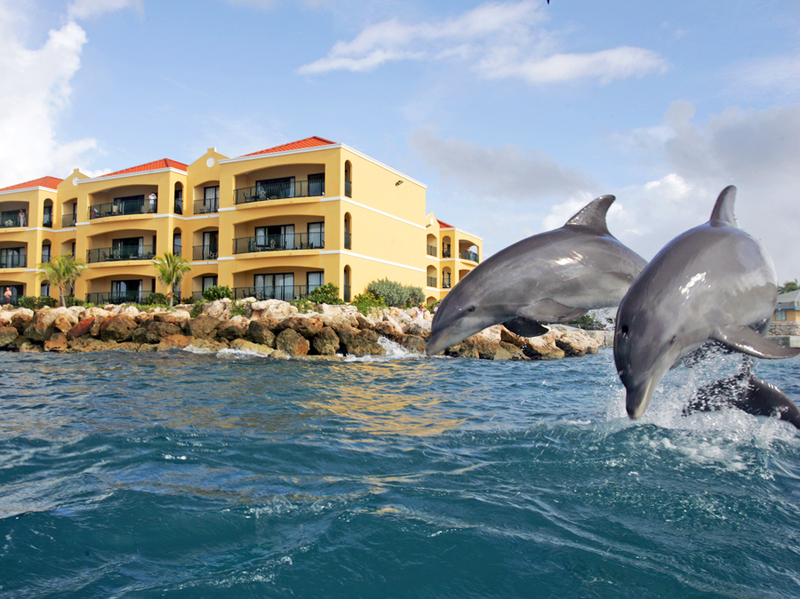 Activities on offer at the Curacao Sea Aquarium include Animal Encounters dives and snorkeling with stingrays, sea turtles, sharks and colorful reef fish. Imagine the thrill of swimming with a sea turtle, feeding a ray and coming face to face with the aptly named Goliath grouper! Certified scuba divers can also book dives to the Sea Aquarium Reef, a healthy and colorful coral community just offshore from the facility. Click here to download the Animal Encounters Activities in PDF. The aquarium is open daily from 8:30 a.m. to 5:30 p.m. Admission is US$21 per adult per entrance or one week pass for US$30. 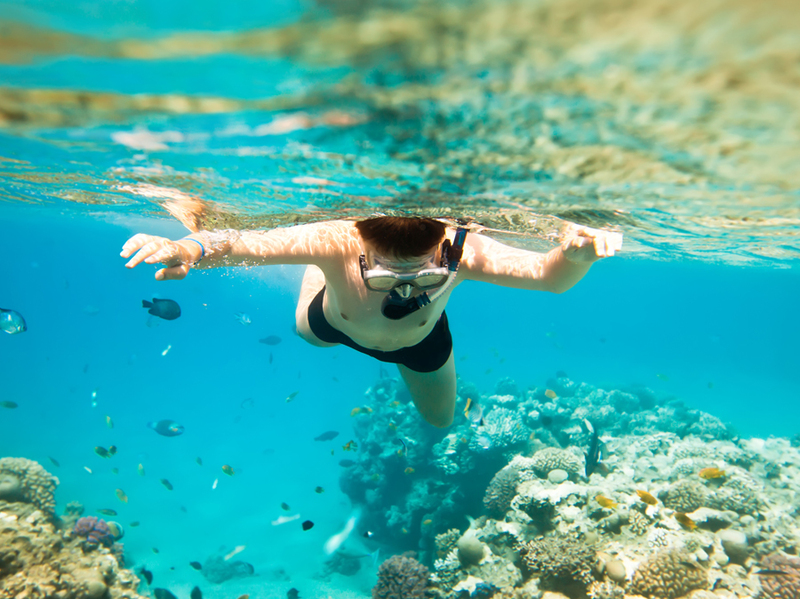 Activities such as diving, snorkeling and dolphin swims are priced separately.